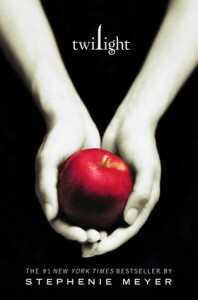 Twilight - Books, Books, Books! Isabella Swan is Famous in the little town of Forks. Why, you ask for being the Chiefs daughter that his ex-wife ran away with. Now, Bella or Isabella's Mom Got Married! Bella is now headed to Forks Washington to Live with her Dad and every one there is waiting for her arrival. Bella, starts school and every one stares at her except 5 people, Who? The Cullen and Hale Kids, now they are different. Not just because they aren't staring but that they are inhumanly Beautiful, and Rich. Bella, has one Class that she shares with any of them, Biology with Edward Cullen. Now as she gets Closer to Edward will she find out some Horrific things about him and his Family. When of If she finds out will she run in terror or not care. Will she be allowed to know? Could she be killed for knowing the Cullen's secret? What will happen between Bella and Edward and what of the Cullen's Secret.